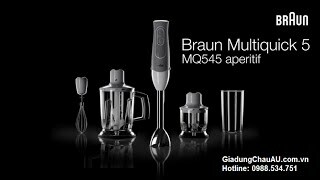 The mq3045 aperitive multiquick 3 hand blender - white blue Mixer is manufactured by Braun and was added around May 2018. This version of the Mixer comes in Color : White , Size in Liters : 25 Liter , Watts : 700 mAh. 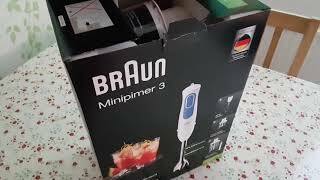 Braun multiquick 3 . MQ 3045 . Unboxing . First impression .